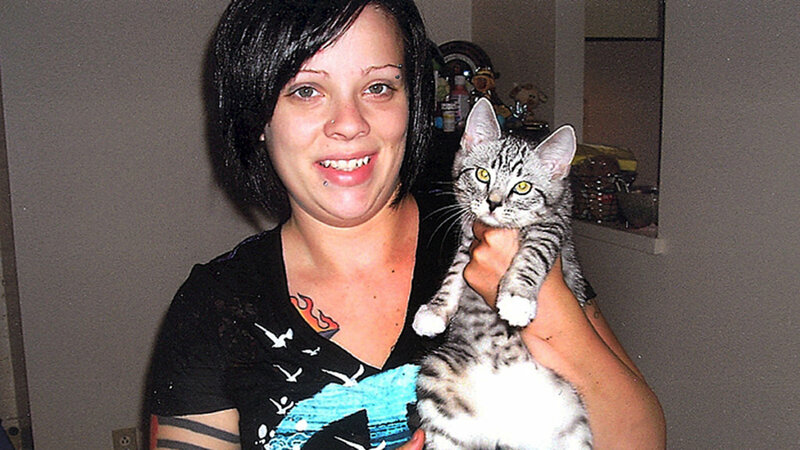 LEWISTON — It’s been more than six years since the body of Samantha Turner-Folsom was found inside a closet at an Oxford Street apartment. Police have investigated the 26-year-old’s death for years, and yet the case still haunts many. It haunts her family. It haunts her friends and it haunts the police detectives who searched ardently for a killer. On Friday, TV journalist Chris Hansen will take a close look at the unsolved death on his show “Crime Watch Daily.” The episode, “Who Killed Samantha Folsom,” will appear at 1 p.m. and again at 4 p.m. on the CW. On Nov. 9, 2011, Folsom’s parents went to her apartment in the Place Ste. Marie apartment complex after failing to hear from their daughter for three days. Jon and Joline Turner found Folsom curled up in the fetal position inside her closet. It would be months before police declared the death of the young mother a homicide. For six years, Jon and Joline have been agonizing over how their daughter spent her final hours. When they were approached by Hansen’s team recently at their Lewiston home, they were more than happy to cooperate. “Somebody has to be the voice for Samantha,” Joline said Wednesday. No one has been charged in Folsom’s death. Police have named no suspects. The case is being investigated by both Lewiston and Maine State Police. Anyone with information is asked to call state police at 657-3030.